The Kran tribe is also named ”We” which is an accumulated denomination for several tribes in the area. The tribe previously made it’s living from hunting and farming. But nowadays they also work with diamonds and in rubber plantations. Just like the Grebo tribe the Kran is mostly known for their masks which are characterised by geometrical and tubeformed eyes and enlarged noses and mouths with scary traits. 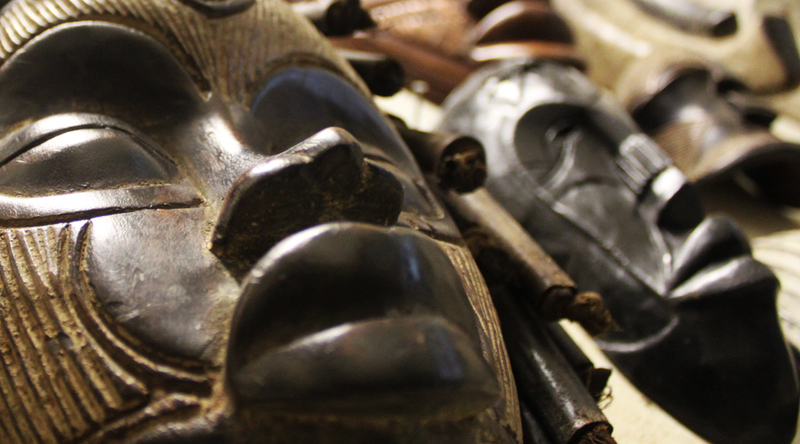 The masks are collectively owned by the tribe families and used at masquerades and at rituals in connection with the circumcision of the boys.